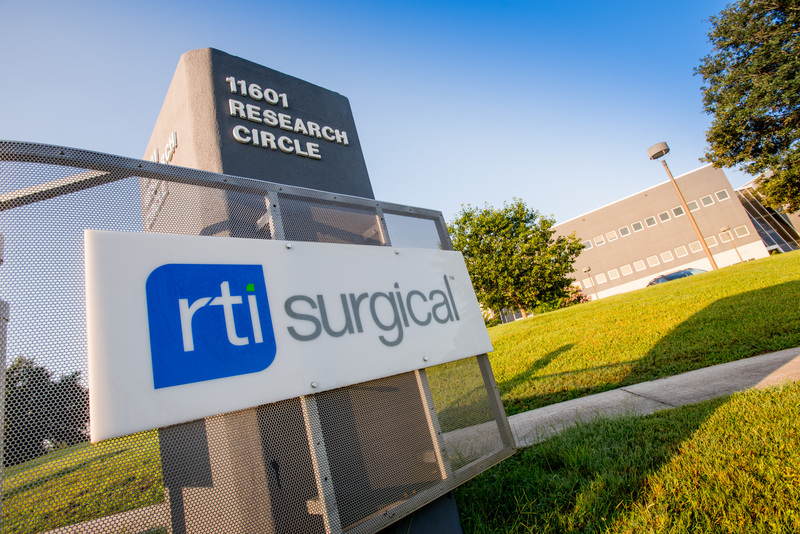 RTI Surgical™ Announces 2015 Second Quarter Results - RTI Surgical Holdings, Inc. Achieved revenues of $71.6 million, a 10 percent increase on a constant currency basis over the second quarter of 2014, and exceeding guidance of $70 to $71 million. Achieved net income per fully diluted share of $0.05, exceeding guidance of $0.04. Achieved revenues of $13.1 million in the orthofixation business, a 48 percent increase over the second quarter of 2014. Achieved revenues of $10.5 million in the BGS and general orthopedic business, a 15 percent increase over the second quarter of 2014. Achieved revenues of $6.2 million in the dental business, a 21 percent increase over the second quarter of 2014. Worldwide revenues were $71.6 million for the second quarter of 2015 compared to revenues of $66 million for the second quarter of 2014. Domestic revenues were $66 million for the second quarter of 2015 compared to revenues of $59 million for the second quarter of 2014. International revenues were $5.6 million for the second quarter of 2015 compared to revenues of $7 million for the second quarter of 2014. On a constant currency basis, international revenues for the second quarter of 2015 decreased 7 percent compared to the second quarter of 2014. For the second quarter of 2015, the company reported a net income applicable to common shares of $2.7 million and net income per fully diluted common share of $0.05, based on 58.8 million fully diluted shares outstanding, compared to net income applicable to common shares of $1.6 million and net income per fully diluted common share of $0.03 for the second quarter of 2014, based on 57.1 million fully diluted shares outstanding. Adjusted earnings before interest, taxes, depreciation and amortization (adjusted EBITDA), as detailed in the reconciliation provided later in this release, was $10.8 million for the second quarter of 2015 (15 percent of second quarter 2015 revenues) compared to $8.8 million for the second quarter of 2014 (13 percent of second quarter 2014 revenues). Based on results from the first half of the year, the company is narrowing its full year revenue guidance for 2015. The company now expects full year revenues for 2015 to be between $282 million and $286 million, as compared to prior guidance of between $281 million and $286 million. The company now expects full year net income per fully diluted common share to be in the range of $0.20 to $0.23 based on 58.7 million fully diluted common shares outstanding, as compared to prior guidance of $0.19 to $0.23. For the third quarter of 2015, the company expects revenues to be between $69 million and $70 million and net income per fully diluted common share to be approximately $0.05, based on 58.8 million fully diluted shares outstanding. RTI will host a conference call and simultaneous audio webcast to discuss the second quarter results at 8:30 a.m. ET today. The conference call can be accessed by dialing (877) 383-7419. The webcast can be accessed through the investor section of RTI’s website at www.rtix.com. A replay of the conference call will be available on the RTI website following the call.